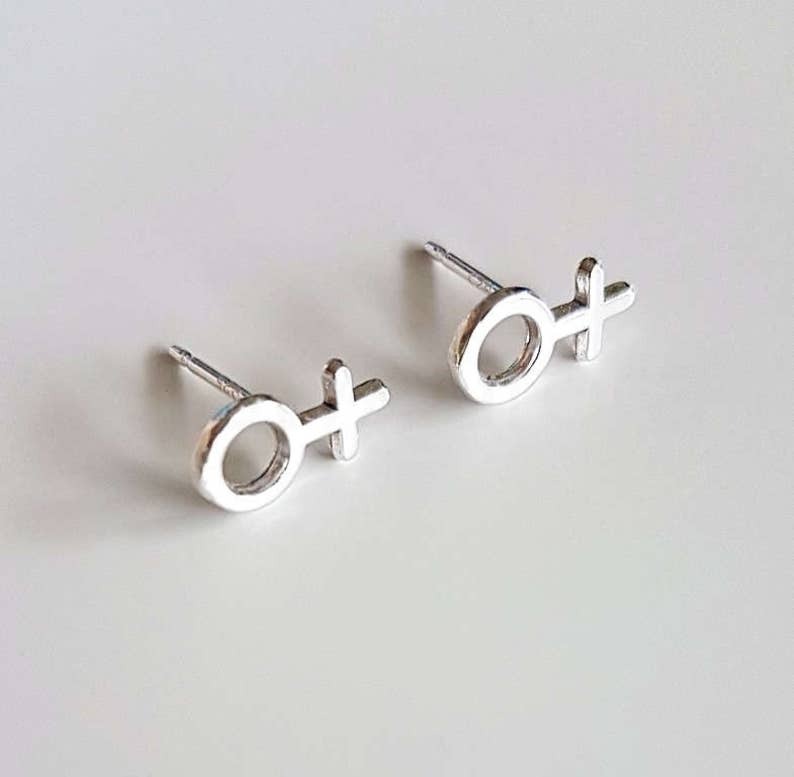 A pair of tiny sterling silver Venus/Aphrodite female symbols soldered on sterling silver earring studs. The earrings used/worn in pictures are from my personal selection and are shown for appearance and size references only. The pair you will receive will be brand new. Please note that handmade items might vary slightly in size, shape etc as they are made for each order. Perfect size! If you're more into studs than dangling earrings and you're looking for a flash pride statement, you've found it! Super cute and comfy! 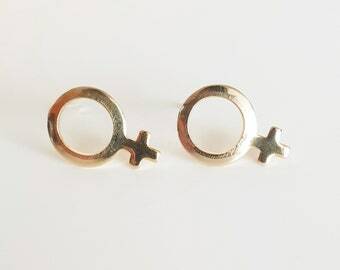 Perfect for my second piercing. 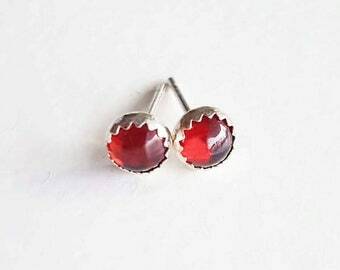 These earring are so gorgeous! They are exactly what I wanted. You can pay for your purchases using your credit card, debit card, Paypal or Etsy Gift Card via Etsy's Direct Checkout. I also accept bank transfer from buyers within Norway. Keep in mind that orders don't get shipped until payment is cleared. Since everything I sell is handmade/hand assembled I may not always be able to offer an exact replacement or an exchange. If you are not satisfied with your order and wish to return your purchase, please contact me within 7 days of receipt. Note that the return postage will be at your own cost. As soon as I receive the returned items in satisfactory condition -unused and in original packaging- I will issue a refund to you. I do not refund shipping costs, only item value. Custom order sales are final (no returns or exchanges). To avoid disappointment for lost/stolen or damaged packages please make sure you ask for registered shipping method costs. I cannot offer a refund for lost packages if a traceable shipping service was not requested on purchase but I will be happy to offer a replacement (where available). 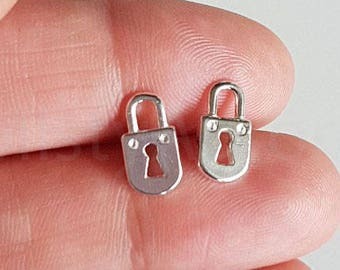 Earrings cannot be returned for hygienic reasons according to EU laws. These are the official dates released by the Norwegian post office for the 2018 Christmas period. In order for your order to make these deadlines, please take into consideration each item's processing time, and place your order well in advance to avoid disappointment. The default shipping method in my shop is First Class Norwegian post which I offer free of charge. This service does not include a tracking number. If you wish your order to be sent with registered shipping, which includes tracking and insurance, make sure you select that shipping method during checkout. Please note that the price is the exact amount charged by the Norwegian post office. I do not charge any packaging or handling fees. Orders to Italy are only sent via registered post. Orders are sent to your Etsy address so please make sure it is correct. After I leave a parcel at the post office I have no power over it, and cannot change its destination once it is in transit. All items are packaged carefully in a sturdy cute box ready to give as a gift. Multiple items get packed together unless otherwise requested. Delivery usually takes between 5-14 working days for Europe, 7-20 for the US, Canada, Australia and up to 28 working days for the rest of the world. Please note that these time-frames are approximate, and that extra transit time may occur due to customs or postal delays. Shipping can sometimes take up to 8 weeks (especially during holidays etc) so order well in advance! For custom orders these time-frames are always adjusted and agreed beforehand. All duty, customs and international taxes etc are the responsibility of the buyer. Packages that are refused due to customs and duty fees will NOT be refunded. Shipping to P.O Boxes is tricky sometimes and packages often get returned, so please provide a street address if possible. Otherwise it is your responsibility should the package get rejected. Keep in mind that all of my creations are handmade and/or hand assembled so minor differences are to be expected. I do my best to be as informative as I can regarding item sizes so that you do not have to "imagine" how big or small a piece is. Please pay attention to the descriptions as well as scale pictures (where present). Note that colours may vary slightly due to monitor colour settings etc. I reserve the right to refuse any sale. Thank you for taking time to read my policies! My brass earrings' colour has changed. Even though I both tumble and hand polish all the jewelry I make, it is natural with brass to tarnish and darken over time. A polishing pad is included with your order so that you may restore the colour. Gently rub the brass part on the pad until you are satisfied with the colour. Measurements for each item are stated in the listing's description. Additionally, I try to include at least one picture of a piece worn as a size reference. If you are still unsure, send me a message and I will do my best to help. Some people may experience skin discoloration after wearing brass or copper earrings. This is a result of the body's chemical reaction to the metal. Skin pH as well as hormonal levels may trigger this, that is why it happens only to some people. Should this happen, try washing the discolored area with a little bit of water. You could also apply a layer of clear nail polish on the inner side of the brass part, so that you do not need to worry about this. All orders are shipped in a padded envelope, and the jewelry is packaged in a little white, cotton filled box. Assuming that transit has been handled with a little bit of care, your pieces should be ready to give as gifts. If you require a special message included in the package, leave me a note during checkout. My creations are not waterproof so please make sure you avoid contact with water including showering, swimming and submerging the pieces in water. Contact with oils, perfume and other chemicals should also be avoided. Use baking soda or lemon with a small brush or toothbrush to clean your jewelry. Leaving your jewelry in the open speeds up the metal oxidation process. I would advice you to store your clean, dry jewelry in sealed zip lock bags for better maintenance.